Merve was born in 1987 in Istanbul, Turkey. She graduated from the Faculty of Fine Arts of Marmara University in Istanbul. During her undergraduate studies, she attended an Erasmus program in Italy to study at Accademia Belle Ari Di Verona GB Cignarioli. After that, she completed a graduate program in painting from the faculty of Fine Arts in Marmara University. Merve was awarded with the 2014 Siemens Art Award and the Borders Orbits 15-16 Achievement award. 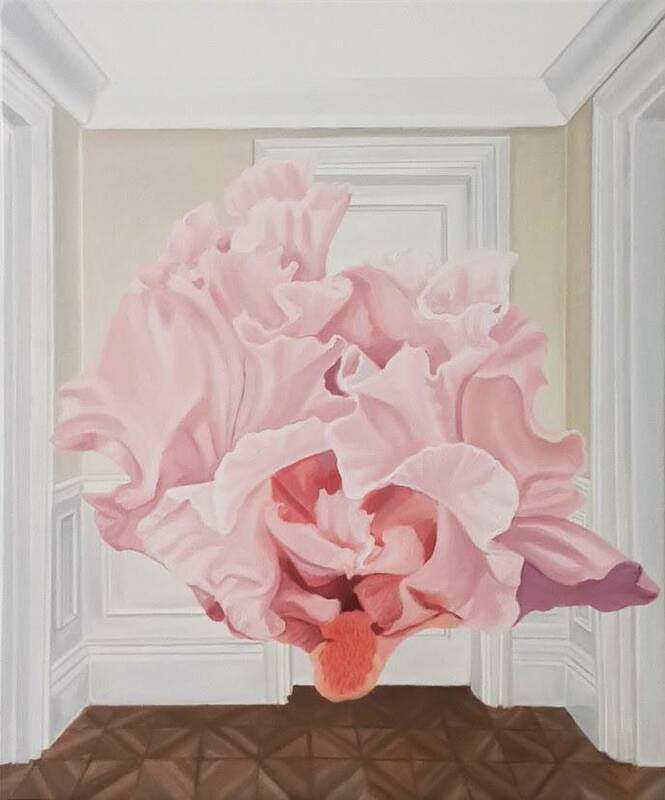 She has been actively doing solo and group exhibitions in various cities throughout Turkey. Merve says that creating art comes from within. She aims to create paintings that make the audience feel uncomfortable by adding a stressful item. These items are usually included in her paintings as blood, meat or in the form of a dead animal. However, she makes sure that the item doesn`t take up the entire attention from the rest of the pastel, plain and calm painting. Her paintings tell a story but the frame that was captured in it, doesn’t give out the whole story; instead, they allow the audience to wonder what happened or will happen. 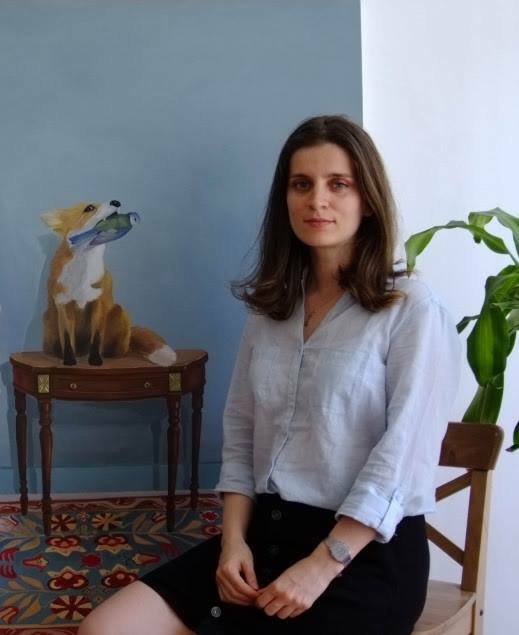 Merve usually paints people in her paintings but in her latest work, she has also created paintings without people in it. Subtle parts of life can be found in her art. 1. How did you hear about The School of Visual Arts (SVA) Summer Residency Program? Had you known that The Society offered funding for Turkish artists to participate in the program? I always wanted to visit New York. I heard this program from a friend of mine by chance as "Moon and Stars Project" when I started to the Faculty of Fine Arts. The program was including a rigorous work process than I have expected. I had to follow lectures, meet with the instructors and prepare the exhibition at the same time. It was a good opportunity to meet with other artists from different nations. Everyone looks at the world from a different perspective, and this program was the intersection of these views. Experiencing this diversity was very important to me as it is related to the title I worked on. New York is a terrific cosmopolitan place that does not belong to a single race or gender which brings a sense of equality. I am telling you all of these apart from economic life and the current political situation in New York. 3. How did the program and your time in New York City improve your artistic career? First of all, instructors’ approach and the art environment in New York motivate you to work freely and make experiments. That enables you to work without thinking whether you work will be okay or not. This is very important because sometimes you stop making something after long hours of thinking. New York has a motivating atmosphere, thereby you start to understand how to control your production process. I took the first step of my new project in New York. Now, I am working on the next steps and prepare for my next exhibition.